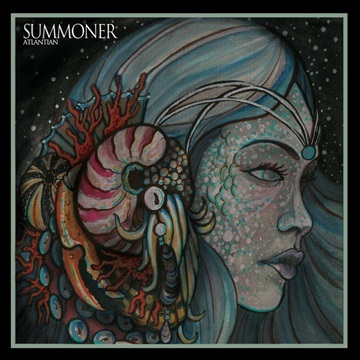 Summoner are a Boston institution, fusing elements of 70s proto-metal, stoner rock, and cosmic psychedelia into a driving, riff-heavy juggernaut ready to obliterate everything in its path. Childhood friends Joe, Scott and Chris grew up in the rural south shore town of Hanson, Massachusetts. With just a supermarket, a liquor store, and a Chinese restaurant at its center, what set Hanson apart from other working class towns was the massive rehearsal complex occupying a century-old factory building just past the train tracks on the south side of town. Living just a few miles from the place, the three spent their youths there, sculpting their tastes, honing their chops, and laying the groundwork for a future in bands. 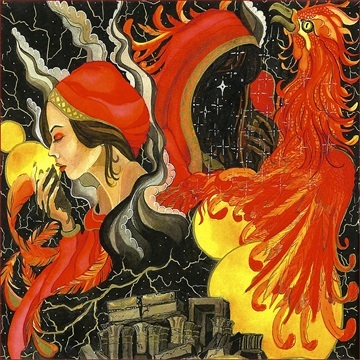 Joined by Michigan native AJ, Summoner debuted with all guns in blazing, releasing Phoenix in 2012 on the burgeoning Magnetic Eye Records and selling out multiple pressings despite no real promotion or distribution. 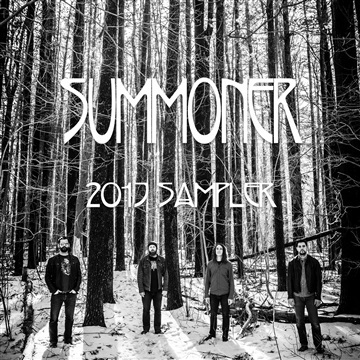 Following with the ambitious and now-classic Atlantian in 2014, Summoner was cemented as a force in the re-awakened stoner/doom underground, garnering them slots alongside artists like Torche, Cave-In, and Elder when the heavyweights came to Boston. Their latest record, Beyond the Realm of Light, brings together everything Summoner’s towering musicianship and first two albums assured us they could do. From astral voyages to pummeling dirges, it unfolds like a hero’s journey through Hades, alternating between moments of uproarious victory and desperate, crushing, hopelessness. It’s a song cycle that delivers the best of a Mastodon album and a SUMAC record, all in one perfect progression. But, you know, never taking itself as seriously as that sounds. With singer/bassist Chris Johnson splitting his time as a studio engineer and member of death ‘n roll band Doomriders (not to mention filling in on tour with Deafheaven) and Scott and Joe indulging their inner darkness with misanthropic black metal outfit Plagues, Summoner nevertheless maintain its status as one of Magnetic Eye’s core artists and a heavy-hitter in the heavy music underground. Summoner will perform at Psycho Las Vegas 2017, were tapped to provide an exclusive track to the upcoming Planet of Doom metal-and-animation feature film, and herald the release of Beyond the Realm of Light with an exclusive Summoner-branded beer co-release as part of Oliver Brewing’s “Long Live Rock and Roll” double IPA series.